Today I'm joined by author Peter Swanson. 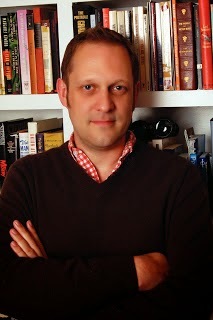 I write thrillers, mainly because that’s what I love to read. It also happens that all my ideas for books and stories have murders in them. Just the way my mind works, I guess. 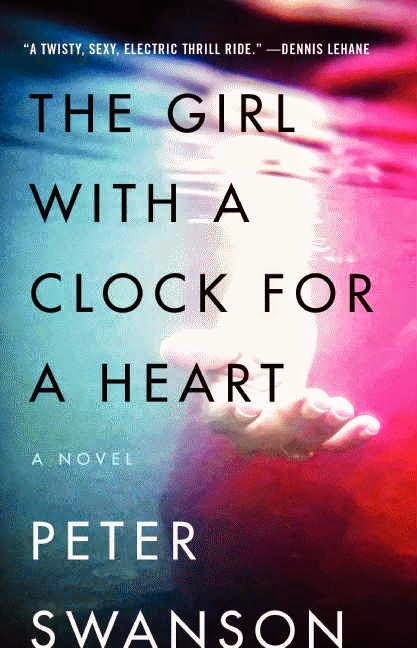 My first novel, The Girl with a Clock for a Heart, is just out in paperback. It’s a thriller about a relationship that spans twenty years. My new book, The Kind Worth Killing, is out in hardcover. It’s about a murderous relationship that begins when two strangers meet in an airport bar. My two favourite thriller writers are John D. MacDonald, who wrote the Travis McGee series, and Agatha Christie, who ... well, you know about her. It takes me a little under a year to write a book, beginning to end. I try and write about 500 words a day, every day. All the usual places, and, hopefully, that great independent bookstore just down on the street corner. I do everything my publicist tells me to do. Readings, guest blog posts, going to book events. It’s not my absolute favorite part of the book-writing business, but I’ve grown to like it a lot more than I thought I would. Reading a lot as a kid inspired me to become a writer. And reading a lot as an adult still inspires me. I’ve been reading a lot of Patricia Highsmith. Just finished Deep Water, a truly creepy book about a dysfunctional marriage. I love to travel and I love to read, so ideally I’m spending my time in some foreign country with a book open in front of me. What an interesting and entertaining interview with this author! Thanks so much for introducing him to us. As we might expect, the Travis McGee novels indulge in a fair amount of superhero, bubblegum, cartoon or comic strip stuff, and that’s fine. Certainly one of their primary purposes is to entertain. But Macdonald also has other aspirations that go far beyond divertissement. McGee is a kind of philosopher of his time – that is, he makes philosophical statements about the society he finds himself in and, periodically, about the cosmos in general.